The District government will invest more than $80 million to replace long-vacant apartment buildings near the Congress Heights Metro station with 220 units of affordable housing. Most of the apartments will have two or three bedrooms to accommodate families, according to a Feb. 14 press release from the Department of Housing and Community Development. The Parkway Overlook Apartments housed more than 1,000 low-income residents in 20 buildings until 2007, when the former property owner went bankrupt. The properties have stood vacant for more than a decade. 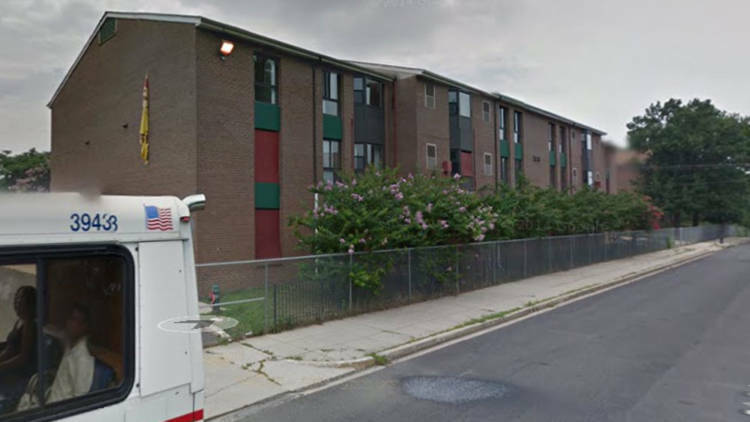 DHCD partnered with the D.C. Housing Authority, the D.C. Housing Finance Agency, and the Department of Energy and Environment to revitalize the apartments. The residences will be available to families who earn up to 50 percent of the area median income, and 11 units will be set aside as permanent supportive housing for families making 30 percent of AMI, according to the press release. The new complex will also offer workforce training and after-school activities. “More families will have safe and affordable housing in the District, as well as community services that support their needs,” said Polly Donaldson, director of DHCD. A solar array installed by DOEE will provide 30 percent of the apartments’ electricity, as part of an effort to provide renewable energy to low-income residents.